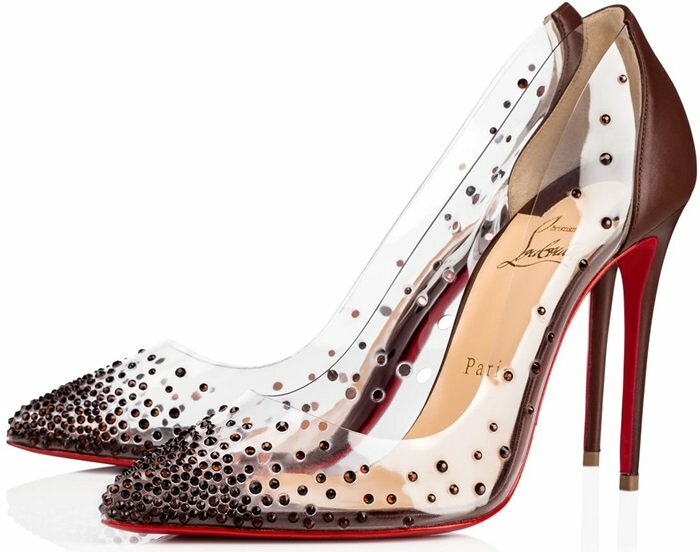 Celebrities can’t seem to get enough of Christian Louboutin‘s Degrastrass pumps in clear vinyl and leather with Swarovski crystals. 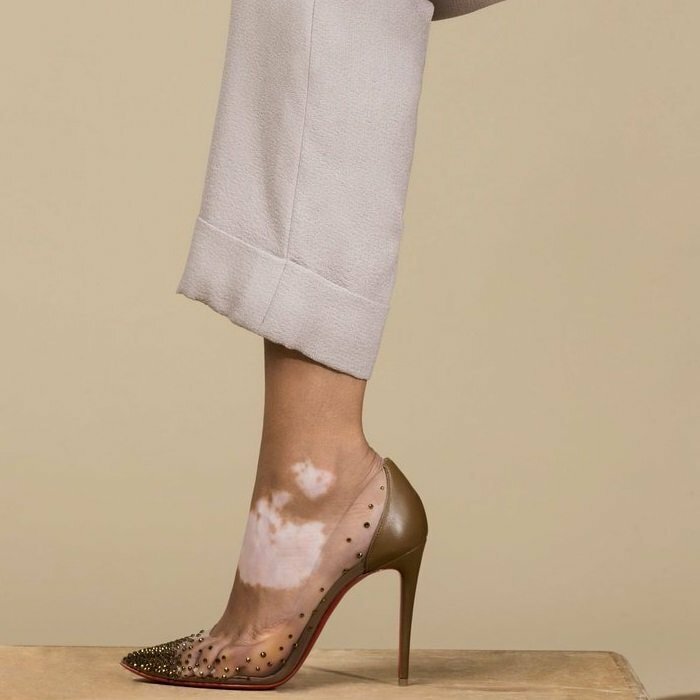 In addition to Tatiana Maslany and Jessica Chastain, the following celebrities have also been spotted in the popular shoe style from the French footwear designer that you can purchase at Barneys New York and Matches Fashion. Mila Kunis, who won the award for Comedy Movie Star of 2018 for her work in ‘The Spy Who Dumped Me’, looked stunning on the red carpet at the 2018 Peoples’ Choice Awards at Barker Hangar in Santa Monica, California. Mila recently completed work on the upcoming American-Spanish computer-animated adventure comedy film Wonder Park, that tells the story of a magnificent amusement park where the imagination of a wildly creative girl named June comes alive. 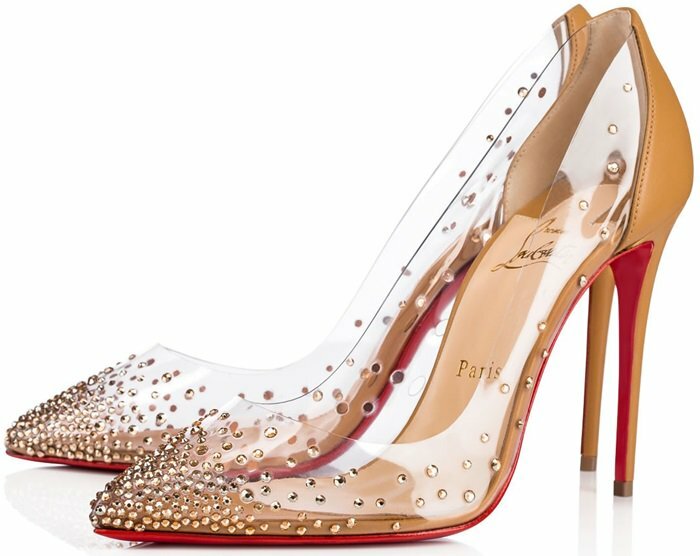 The 35-year-old actress flaunted her legs in Alex Perry’s ‘Gabrielle Portrait Lady’ dress ($870 at Moda Operandi) featuring a straight neckline bodice with thin double straps. She accessorized with glittering earrings from Lana Jewelry. Britney Spears flaunted her toned figure on the red carpet as she arrived at the 2018 GLAAD Media Awards at the Beverly Hilton Hotel in Beverly Hills, California. She was honored with the Vanguard Award, which is presented to media professionals who have made a significant difference in promoting equality and acceptance of LGBTQ people. The 36-year-old American singer, dancer, and actress flashed her super toned abs in a tacky diamond Giannina Azar dress that made her look dated. She styled her embellished silver mini dress with hair extensions and dazzling “Degrastrass” pumps. Do you think Britney should hire a new stylist from Trunk Club or Stitch Fix? 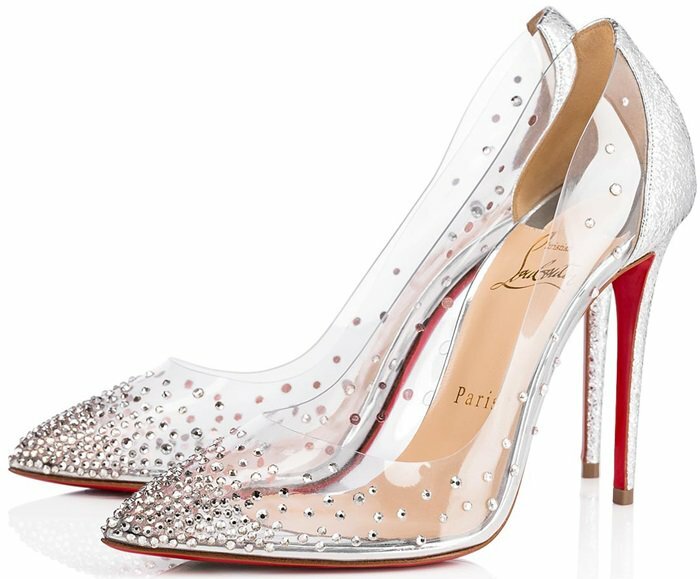 This dazzling pump features a hand-placed crystal gradient set in transparent PVC. 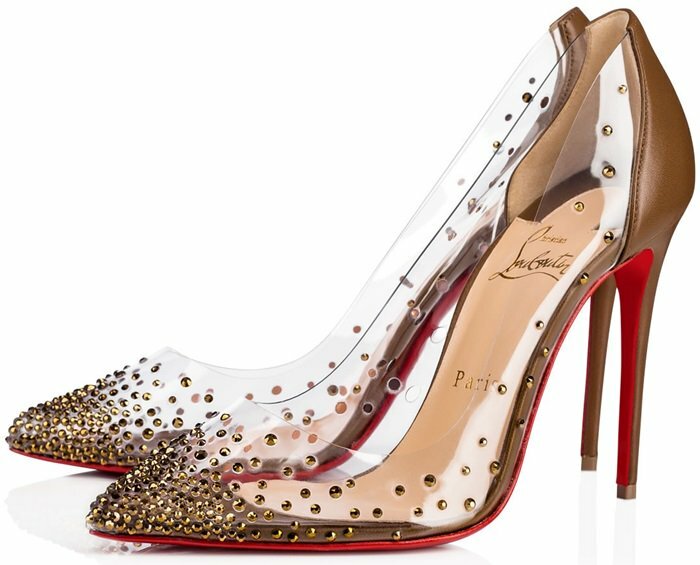 Finished with a 100mm stiletto heel, this pair is a sumptuous evening look. 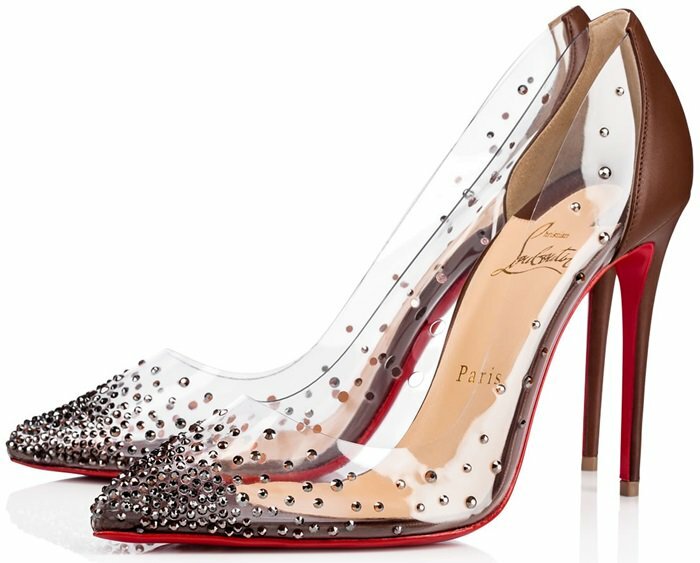 A delicate style, it is best to slip them on when you arrive at the party.